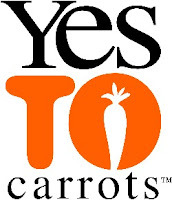 If you are a fan of Yes To products, you should check these promotions out! If you shop through this link, you will get 35% off your order! This offer is good for the rest of the year, so I will be sure to post the link on my side bar as well. Also, in honor of their birthday, Yes To is also giving Free Shipping on all orders over $35! So, if you got the Plum District deal I posted about last week, you will be able to get free shipping along with your voucher. This offer won't last much longer, so if you want free shipping, head over here to make your purchases now. I used my voucher to try some of their Yes To Tomatoes Acne Spot Stick, which is supposed to be awesome. I also snagged the shampoo and conditioner set for fine hair - also tomatoes. It turns out my body just really needs more tomatoes :) And I'm just fine with that. So, head over here to take advantage of these offers while they last!